We’re pleased to announce details of our next careers event, held on Thursday 27th March which will be of particular interest to 2nd year trainees. 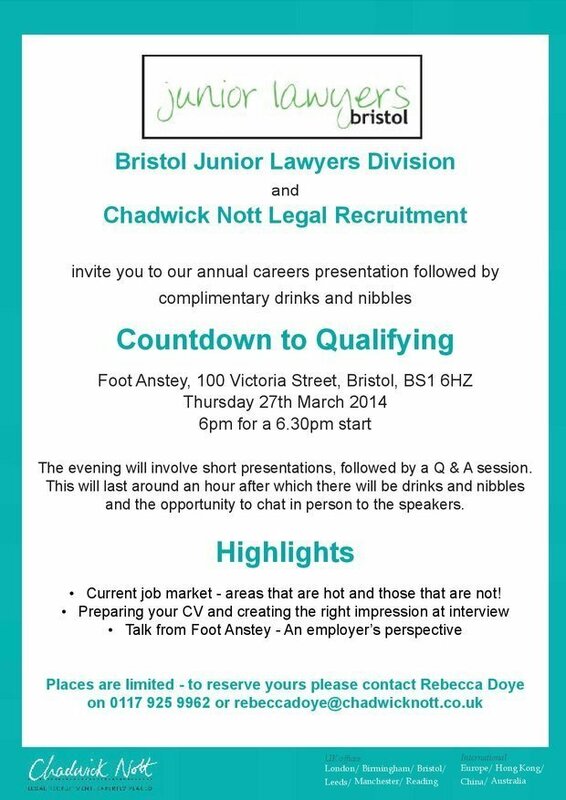 “Countdown to Qualifying“, presented by Chadwick Nott Legal Recruitment, will give you an insight into the current job market and tips on your C.V and preparing for interview. All the details are in the flyer below. Places are limited – email Rebecca Doye at Chadwick Nott to book your place.